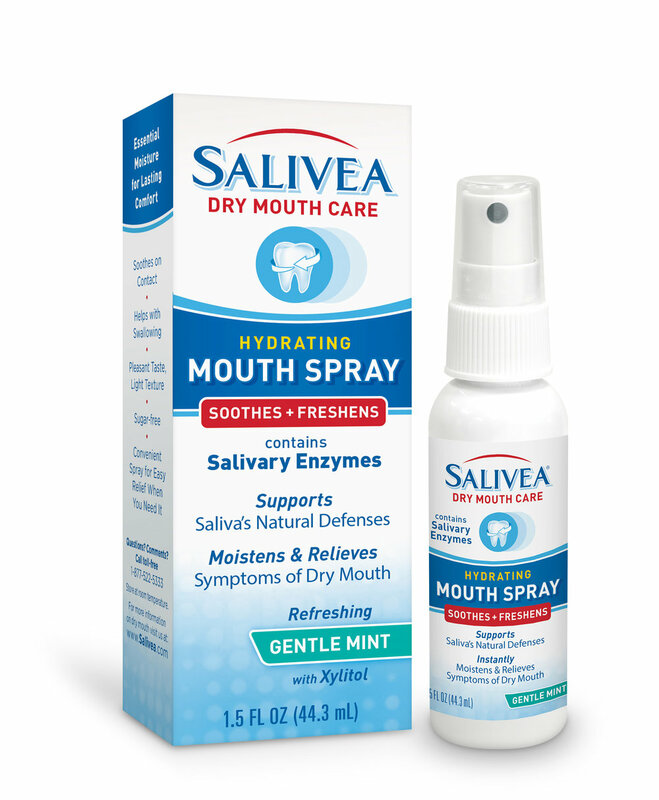 SALIVEA™ Dry Mouth Mouthwash contains 6 natural enzymes and with regular brushing can help maintain a cleaner, fresher mouth. Enhanced moisturizers help soothe and moisten dry mouth tissues. You may not realize you suffer from dry mouth until it causes serious dental problems. Only SALIVEA™ toothpaste contains natural salivary enzymes with maximum anticavity fluoride protection to help maintain a healthy oral environment. A refreshing solution that quickly diminishes dry discomfort and other symptoms of a dry mouth. Enhanced with moisturizers and natural enzymes to help maintain the ideal oral environment.